Lin Oliver has been the coauthor of the Hank Zipzer books with Henry Winkler, yeah, the Fonz, for some time now. I know these books are popular with the kids because we can't keep them on the shelf in the library. For some reason, I've never gotten into them, even though they seem very fun. Now she is writing the Who Shrunk Daniel Funk Series with illustrator Stephen Gilpin. The first is called Attack of the Growling Eyeballs and introduces us to Daniel Funk who, for reasons that have yet to be identified, shrinks to the size of "the fourth toe on his left foot." It may have to do with his grandmother's goulash that he eats cold from the refrigerator, but in any case it comes with some strange warning symptoms, growling behind the eyeballs, and whistling from the knees. Very funny stuff! The shrinkage is always temporary, and ends after he produces a big sneeze. Daniel's adventures in book one include swimming in the toilet, yeah, kids are going to love that! Sledding down a pile of laundry detergent, hiding in his sister's doll furniture, and meeting his miniature twin brother, Pablo Picasso Diablo Funk. Daniel lives in a house of all girls, including three sisters, his mom, two wild and crazy grandmas, a lizard, a hamster, a bird, and a dog, all girls! Daniel puts up with them as best as he can, but the interactions between him and all of the women in his life makes for an enjoyable read the kids will love. All in all, Lin Oliver has created the perfect no brainer, can't put it down, laugh out loud read for third grade and up. I can't wait for the next installment...Escape of the Mini Mummy. Another great title. Ok, so we got tagged by Katie at Creative Literacy for a meme about us. It would seem that you all have much more important things to do and read, but it was fun for us to answer the questions. Based on the "5 places you've lived" questions, it's obvious that Karen has led a much more exciting life than Bill. Oh well, enjoy. 3. At the end of the post, the player then tags people and posts their names, then goes to their blogs and leaves them a comment, letting them know they’ve been tagged and asking them to read the player’s blog. BILL: Finishing my 14th year of teaching, enjoying the summer with my 6 year old daughter and 3 year old son. They actually wanted to go to the pool with me then. KAREN: Ok, I really wish I was Mary Lee (AYear of Reading) right now with her 10 year journal!! What was I doing: watching my oldest daughter, K, "graduate" from 5th grade, and my youngest, C, was finishing 1st grade. We took our first trip ever to DisneyWorld and had a blast, partaking in all the magic. BILL: Take my son to buy a new baseball glove, read a book, cut the grass and other yard work, attend a graduation party and take my son to baseball practice. KAREN: Grade papers, blog, attend a graduation, attend a wedding, and order a cake. KAREN: Pretty much anything salty and crunchy (my new favorites are Kroger's pretzel rods), and I love appetizers (not really a snack, but definitely love them!). BILL: Retire to a home on the beach and play more golf. KAREN: Not to be a copycat, but definitely retire to a home on a beach or water, and start to give back by volunteering time to nonprofits of my choice (something I don't seem to have the luxury of time to do right now). KAREN: Drinking Pepsi, nagging (this one is here for my family), rubbing my eyes, shopping, and not stopping whatever I'm doing to really listen to what my family is telling me (I'm not a good multi-tasker at all). BILL: Paper boy, farm hand, bus boy at Friendly's (for one month), playground supervisor, resident adviser in Drackett Tower at The Ohio State University. KAREN: lifeguard (many summers through high school and college), tram operator/ tour guide at Jackson Hole (my ski bum phase lasted exactly one year, but it was wonderful, and this is what I did in the summer), waitress (many restaurants, but absolutely the worst waitress in history, wherever I was), maid at a hotel in Jackson Hole (can you say gross!! ), and teacher (special ed, 4th grade, 3rd grade, and currently 5th grade). What people do you want to tag? Since Karen needed a well deserved break from this Slice of Life Challenge, I decided to give the old Literate Lives try this week. 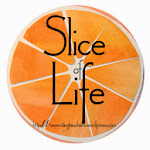 My first step was to ask Karen if it's ok to do a "professional" slice of life and she said absolutely, so here goes. Back in November and December in the library we discussed the Caldecott Awards. The typical stuff, qualifications, past winners, and I included a lot of time to study the winners and discuss what made them good. After all of this, I shared my list of Caldecott Possibles as we came to call them. I asked the kids to share their Possibles with me and told them to look for the "circle C 2007" to make sure it was a new book. As it turned out, most of the nearly 50 books were the ones I chose, but there were 10 or so nominated by kids. I compiled the list on a ballot, put all of the books on display and gave the kids plenty of time to look them over and vote. As it turned out, we had First the Egg, Kufflebunny, Too and Hugo Cabret in our top 10. Not bad! Fast forward to two weeks ago, one of my second grade friends, I'll call him Vince, comes running up to me in the hallway all excited. "Mr. P. I've found one of those Caldecott thingies! You know the books we voted on this year. Are we going to do that again next year?" "Probably so, did you like that Vince?" "You have to include this book, The Sea Serpent and Me! I found it at the BIG library and it's awesome!" "Is it a circle C 2008?" "Can you bring it in for me to look at?" "I HAVE IT IN MY CLASS RIGHT NOW!" And so Vince brought me the book and do you know what? HE'S RIGHT! I read it to the class I had next, also second graders, and they loved it as much as Vince. I purchased it at my favorite book store, Cover to Cover, and now they love it and are going to stock more of them too. Can I just say, I LOVE MY JOB! Even more slices at Two Writing Teachers. I am a huge Barbara O'Connor fan, and I just happened to be checking out her website, and here's what she just shared -- the date her new book will be published. Gotta love the title -- The Small Adventure of Popeye and Elvis!! I left a comment in her blog, asking a couple of questions about the book. She answered me, and so here's what I have learned: it's a middle grade book and it has 2 boy main characters. What will you be doing Sept. 23, 2009?? I'll be at my favorite bookstore, Cover to Cover, buying The Small Adventure of Popeye and Elvis! Does this woman have a way with titles, or what??!! So, you had an adult's perspective before. You now have the experts' opinions -- my students! :) Put this book on your summer to-read list or your 48 Hour Challenge to-read list. The Gollywhopper Games is a really good time! Snoring Beauty Hits THE PIT! Just look at that cover!! I knew before I even opened it, this book was going to be fun to read aloud in THE PIT! 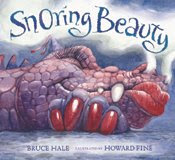 Bruce Hale has created possibly my favorite version of Sleeping Beauty called Snoring Beauty. The twist in this version is that the fairy that changes the curse,Tintinnitus, is hard of hearing and instead of hearing, "She will be run over by a pie wagon and die!" Tintinnitus hears, "She'll turn into a dragon and fly?" She then switches the curse to a sleeping dragon that can only be awakened by a quince. When the curse comes true, the kingdom looks all over for someone who can awaken the snoring dragon with a quince, an aromatic, many-seeded, apple fruit that is only edible when cooked. Yeah, I looked it up! The story is hilarious with fairies named Blexus, Beebo, Umpudine and Fleabitis who likes to show is polka dotted boxers. My favorite fairy is Fred. Fred looks nothing like a fairy, more like an old hairy guy in a sleeveless tunic eating a turkey leg. Okay, he isn't really a fairy, but nobody has the heart to tell him. As the book says, they are "seven of the funkiest fairies you have ever seen." The illustrations are colorful and compliment the story perfectly. I found myself going back through after the first read, just to study the pictures. Howard Fine hides things that will only be noticed with a keen eye. It makes this book very appealing to all ages. I can already hear the voices in my head that will come from this story. I can't wait to share it in THE PIT! On Sunday, I made a list of everything I need to get done between now and the end of the school year, in just three short weeks. While I welcome the luxury of having a couple of months off to relax and rejuvenate for next year, I can't help but feel overwhelmed by the list for the next 3 weeks right now. I actually wrote the list 5 separate times, hoping that if I rearranged my tasks differently, maybe into more manageable blocks, it would feel less intimidating. With time being at a premium right now, I'm not even sure that was the best use of what little free time I do have. Everything on my list is necessary and needs to be done -- grading, end of year progress reports, end of year testing reports -- and all of it seems to be paperwork, my least favorite thing about my profession. What my list doesn't include are all the wonderful "outside of school" life things I will be doing also -- 9 graduations, 1 wedding, track meets for C, meeting friends for dinner, my principal's retirement party, golfing with my husband, my Wednesday night women's golf league, and sending out invitations for a wedding shower I'm hosting. These are the things I look forward to doing, even if they're not on my "to do" list. So, bear with me the next few weeks, as it is a very real possibility is that I will not be joining you all for Slice of Life Tuesday until after school lets out. Until then, my main focus needs to be crossing off the items on my list!!!! Wish me luck! See you in June! For more slices, go to Two Writing Teachers. One of the many delights of Keepers: Treasure Hunt Poems is that it can be used both as a nonfiction text as well as a poetry text. John Frank understands what a treasure is. In his foreword, he says, "The wonder of treasure. It makes us say Wow... There's a well-known phrase: the thrill of the hunt. Couple that with the joy of discovery, and you've got a feeling that's tough to beat." 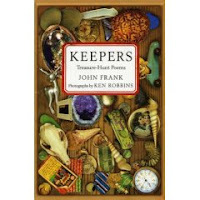 Keepers is a book that talks about the treasures that we might find or discover in our everyday lives. Each poem is about a separate treasure -- the abalone shell, a doll, the skin of a rattlesnake that it outgrew, a comic book, and an old coin, just to name a few. I read of that war. Many of the poems have fabulous photographs, done by Ken Robbins, that enhance the text even more. I enjoyed reading each poem included in Keepers. I found this book in the New Book section of our public library, but it will be a book I need to purchase for my classroom. We will use it for the loveliness of the words and the pictures those words paint, we will use it as a mentor writing text, we might even use it for the inferring skills a reader needs to understand what is not directly stated in the text. But Keepers will be a book shared numerous times, and is a book that will have many different entry levels in the classroom. For the Nonfiction Monday roundup, head to Picture Book of the Day. For those of you who stop by regularly, you know I'm a huge fan of Barbara O'Connor! Her book, How to Steal a Dog was wonderful, and then this year, her Greetings from Nowhere was published. It is an amazing book! In case you missed my history with this book, check out my initial post about Greetings From Nowhere, and the post I wrote most recently, sharing my kids' reactions to the book in its entirety. I'm not alone in loving this book. Mary Lee (A Year of Reading), Megan (Read, Read, Read), and Franki (A Year of Reading) have all written great things about this book, also. All this got me to thinking (which can be dangerous, sometimes). What if, we, bloggers in the kidlitosphere, start collecting all that we can about Greetings From Nowhere, and put it all in one place where we could tap into it as a resource?? I'm talking reviews, posts about how children you know, or work with, interacted with this book, posts about reading this aloud to children, posts about children's book clubs who read Greetings From Nowhere, and much, much more. If you have had interaction with, or a response to, Greetings from Nowhere (with or without kids), respond in our comments, and tell what your experience with this book was like. If you have actually blogged about it, please put a link in the comments section as well. And since How to Steal a Dog is another fan favorite, feel free to share any experiences with that book as well. I will collect all your contributions, and in about 3 week's time (read that as time for our summer vacation! ), I will take all your comments and ideas, and create a box on the right side of our blog to store all of the wonderful insights, interactions, and information you can give about Greetings from Nowhere. Then, people could refer to it as a resource for their own thinking about how to share this fabulous book with children. I'm thinking of calling it "Greetings from Nowhere -- all that and a little bit more!" However, no one ever said I was blessed with the real creative genes, so if you have a better title, please pass it along! I have really gotten into the free verse novels this year. Home of the Brave, Summerhouse Time, and Where I Live, have been some of my favorites. 42 Miles by Tracie Vaughn Zimmer is no exception. Quite a bit heavier then the others, it will appeal to an older audience, but I couldn't help thinking of our 5th graders as they move to middle school. The transition years are hard enough on kids, but when JoEllen has to deal with her parents living in two completely different worlds, only 42 miles apart, her transition to teen is made even harder. The first part of the book is filled with her 12 year old angst of living two lives between Cincinnati with her mom and the farm life with her dad. When a teacher assigns an autobiography, and JoEllen realizes she doesn't know who she is. Is she Ellen from the city, or Joey from the farm. She is also missing much of her personal history since her parents have been divorced since her birth. The assignment forces JoEllen to look at her life and take some control when she turns 13. The poetry turns hopeful as she brings her two worlds together. and a jazz showcase downtown. Have you met the new me yet? For more Poetry Friday go here. - Get up super early to pre-prepare all the food for our family gathering for Mother's Day this evening. - My parents arrive at 11:30, as we are going to play golf this afternoon. - The 4 of us, M (my husband), my parents, and I, play nine holes of golf. It was the first nice day we've had in a while. The company was great, and I had enough good shots, that I think I'm already looking forward to my next golf outing. - The four of us get back to our house about 4, but the rest of the guests are not due to arrive until 5:30. Problem - we're all starved now. So, what does a good hostess do? Forage in her pantry, and then steal away some of the appetizers meant for later, of course! - When my tummy is full, I change out of my golfing outfit into something a little warmer ( it got cooler outside). - Everyone else arrives at 5:30, and we have a lovely time. Good food, good conversations. We even got a whole family picture taken. And of couse, we used the screened porch as one of our gathering areas! - For the first time in over 6 months, I don't set an alarm clock. I sleep until almost 10 AM -- that is unheard of for me! - I wake up to very rainy, dreary weather. Not to worry. My wonderful husband, M, braved the elements and went to get me a croissant from a place I love. It's especially appreciated because he hates everything about going there! - My early riser daughter, K, gave me a card. I love her thoughtfulness. - At this point, I'm still in my pjs. I read the entire newspaper, cover to cover. - My younger daughter, C, finally got up. She had a card for me, also. In her case, it was like they wrote the card especially for her (you'd have to know her to understand). - The girls give me my mother's day present. I got the latest James Patterson book, and a coupon for dinner and a movie with them -- I love that they gave me the gift of time with them! We'll have to schedule around their work schedules, but I'm really looking forward to it! - Tornado sirens go off, just as the girls and I are trying to decide what DVD to watch together today at home. We have to go to the basement, and wait it out. - Since C has to go to work soon, we decide to wait and watch our movie choice tonight after her work. - It's about 2:00 PM now, and I'm still in my pjs! I sit down with my laptop, catch up on other people's blogs, and get a few written myself, ready to post for later in the week. - I'm starting to think it's about time to shower, so I'm headed upstairs soon. - Tonight we're going out to dinner together (Hyde Park Grille - yum! ), followed by the movie (27 Dresses - very funny!) with the girls. Was this a great weekend or what??!! I feel very fortunate! For more slices, head on over to Two Writing Teachers. How could you resist this cover! I saw this on the shelf at my favorite bookstor, Cover to Cover, and bought it without even reading it first, very unusual for me. I knew I loved it just from those puppy dog eyes looking back. Now that I have read it and enjoyed all of the "ahhhh" photos, I'm glad I picked it up. 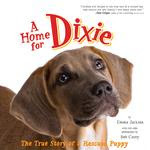 A Home for Dixie: The True Story of a Rescued Puppy is a short and enjoyable story by high schooler Emma Jackson of Upper Saddle River, New Jersey. Emma has crafted a heart warming story based on her experience of adopting an abandoned puppy. After showing responsibility taking care of a fish, a hamster and then a guinea pig, Emma finally talks her parents into a dog. After much internet research, the family found Aunt Mary's Doghouse. Run by Mary Cody, Aunt Mary's takes in all kinds of abandoned dogs, strays, dogs left at the pound, sick dogs, any dog that needs help and a home. More good news, a portion of the proceeds from the book go to Aunt Mary's Doghouse. The story continues with Dixie's adjustment to her new surroundings, including learning to sleep alone in a quiet crate. With some help from her friend, Dixie learns to adjust. This book will get a lot of use in the library, just for the pictures alone. Bob Carey's full color photos of Dixie and other puppy friends are full of life and will definitely elicit more "ooohs" and "ahhhhs" than the Fourth of July! When the kids read the story hopefully they will be inspired to help by adopting an abandoned dog or volunteering at an animal shelter. They may also be inspired to write a story just as Emma has done. For more Non Fiction Monday go here. 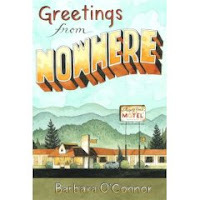 I just finished reading aloud Greetings From Nowhere by Barbara O'Connor with my fifth graders. They really enjoyed it! They were totally engaged with the characters (Aggie, Willow, Kirby, Loretta), and how all their lives intertwined. It was fascinating to see how they all identified, or cared about, one character more than the others. We had a "Kirby" group (probably the largest one), a "Willow" group (gained some fans toward the end), a "Loretta" group (who couldn't love her positive attitude, and her wonderful parents? ), and finally the "Aggie" group (what a delightful, caring person!). 2) the end of the chapter where all the people in the book (with the exception of Kirby's mom) congregate at the pool, just hanging out, enjoying each other's company, and feeling a sense of community. Then, the second day after we finished reading Greetings from Nowhere, we brainstormed a list of "deep" questions (see similar post from Franki at A Year of Reading). A "deep" question lets us dive into a topic, spend some time with it, and reflect on it in conversation. These are the kinds of questions we try to generate for our Book Clubs, so we've had some practice all year long. Anyway, the following questions are what the class generated. The starred (*) ones are the questions from which groups formed for conversations. *3) Aggie and Harold's relationship, and what do we learn about them in the past? 5) Talk about the relationship between Kirby and his mom. 6) Talk about Willow and her mom, and how much Willow misses her mom. *7) How does the motel play a big part in the story? *8) What is the importance of the swimming pool and the flagpole? 10) Does the setting matter to the story? The kids' conversations were wonderful, and, as most conversations do, they started with one topic, but ended up discussing several others. I loved wandering around the room, eavesdropping on these discussions. This is a book worthy of reading, discussing, falling in love with characters, lingering with, and then discussing again. I'm glad we did. Check back at the end of the week, or next weekend, to see my final post about Greetings from Nowhere -- it will be audience participation, and we'd love for you to join us!! For my original review, check this link. Remember when you were a kid and things like Bigfoot, the Loch Ness Monster, and UFOs were cool things to read about? I do, I LOVED all of that weird stuff. Some of my favorite books were the ones with short entries on strange occurrences in nature, or history, still are. Randy Fairbanks has started a series called The Weird Club that are written in journal form from the viewpoint of Mark Aldrich and his Weird Club friends. The kids are going to LOVE it! The first of what I hope will be many more is called The Weird Club The Search for the New Jersey Devil. Mark starts a club of one member, himself, to investigate all things weird, ghosts, mythical monsters, natural phenomenon and other assorted unexplainable events. When he finds out the school will sponsor the club if he can get five members he begins his campaign. Soon the club is up to three members, another Mark, Mark Brownlow, and they become Mark A. and Mark B. shortly after, Stella, another outcast joins the club, and the research begins. In this first book, the story revolves mostly around the New Jersey Devil, a mythical beast that is part horse, part dragon, part human and inhabits the wooded area behind the home of Mark A's grandparents. Along the way other legends, myths and stories are shared. The club presents facts on The Donkey Lady in San Antonio, Shoe Trees, and other weird art, everywhere, the Coral Castle in Homestead, FL, and Sasquatch just to name a few. The characters are extremely well done, but my favorite has to be Mark A's grandfather. He encourages Marks searches with video cameras in the back yard, and taking long walks in the alleged home of the New Jersey Devil looking for clues. He always where tube socks on his hands and rubber bands around his sleeves and pant legs to keep the ticks away. All in all a very entertaining character. The journal format makes this a book kids won't be able to put down. The story is fast paced and photos of various weird things are everywhere. There is also the underlying message about being yourself no matter what others think, do what you enjoy, and remember to stand up for yourself, but really kids are just going to have fun with this one. I won't be a bit surprised if they start putting together ghost hunting kits and throwing old shoes in trees. Check out The Weird Club website here. This may be the perfect first read aloud of next year! I don't know how I missed this one two years ago, but what a great story. Thanks to my sister, Martha who teaches reading to several grades in our hometown, 4 Kids in 5E & 1 Crazy Year by Virginia Frances Schwartz will be on our library shelf, and I will recommend it to all of our fifth grade teachers. At PS1, an overcrowded school in New York City, exciting things are about to happen. A new section of fifth grade is started with students from three existing classes. The students are hand picked, but that doesn't mean that they are the best and the brightest. Eighteen kids are chosen and sent to a new classroom with a new teacher full of new ideas. The story unfolds month by month through the eyes of the four main characters. Max, who, with his mother, escaped an abusive situation through a series of shelters. He uses reading as an escape, and always has his nose in a book. He makes frequent trips to the library and one of the most meaningful parts for me is when he helps his friend Giovanni get a library card. This moment makes Giovanni feel like a rich man. While Max is a gifted reader, he doesn't like to write. In fact, in the beginning he refuses to write for fear that it will dig up too many bad memories and reveal too much of himself to the others. Destiny is the student that comes from the most typical home. She is surrounded by lots of extended family and has plenty of support. In the beginning she is stressed that her best friend will not be in her class, and how will she ever get along. Destiny is the class busy body and actively snoops to find "dirt" on her classmates, especially Max, whom she considers a "man of mystery." Since her mother and Max's mother work together, she uses her connections to get the scoop. When she decides to share it via notes passed in class, Ms. Hill puts her at the front of the class and tells her to mind her own business. Giovanni is an Italian immigrant that speaks English as a second language. His older brother before him was held back until he dropped out, and fears teachers and school in general. Giovanni also has the retention label hanging over his head, but makes the most of his second chance in the new classroom. He latches onto Max, the reader, and becomes one himself. His biggest hopes are to pass the fifth grade, and please his father. Giovanni is my favorite character with his "can do" spirit and humor. Willie has recently moved to New York from Jamaica so that his single mother can better herself and her family. Every summer he returns to Jamaica to be with his grandmother and he constantly dreams of the islands and the blue green ocean. Ms. Hill gets him to channel his daydreaming into descriptive writing about life in the islands that help ailing grandmother get well. Other students stories come into play as they interact with these four kids during the school year. Readers are also treated to stories about the characters outside of school, Giovanni's family pizza shop, Willie's mom encouraging Max's mom to go back to school, Destiny's family gatherings with cultural cooking, and Max's difficult time making it from an abusive home to some peace with a new man in his mother's life. The new teacher, Ms. Hill, uses the Writers' Workshop with journals and lots of books to get her students enthused about their learning. At first I was a bit afraid of the "super teacher" syndrome, but Virginia Frances Schwartz does an excellent job of making her real and believable, and a role model for us all. In the author notes in the end, it is clear that this author knows of what she speaks! The story is based on her experiences teaching in NYC while a student of writing guru Lucy Calkins. Schwartz was part of the Gould Grant at Columbia University which provided her with plenty of resources and ideas to increase children's reading and writing abilities. She continues to teachwriting to elementary kids today. The book reads like an entertaining case study for "The Writing Workshop," that will not only help teachers teach better, but also students learn better. 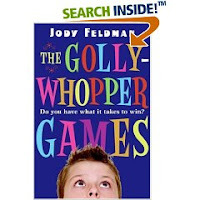 Kids are going to love this realistic fiction with its drama, humor, and learning portrayed. I may be late to the party on this one, but better late than never! Yikes! How time flies! My 5th graders just signed up for their last book clubs of the year. We all shared titles on Monday that we thought would lead us to strong discussions -- 11 titles were recommended by different students in our class. In the end, five titles came out as the books groups wanted to spend their last 4 weeks reading, thinking about, and discussing. Today, I gave them a calendar, they decided on a date for their meeting(s), and now we have a master calendar of when everyone will be meeting for these very rich conversations. Now, the students' job is to locate a copy from a friend, our school library, our public library, or a bookstore. Most told me today that they had already used the reserve system at our public library to reserve a copy of their book -- how cool is that?! Fifth graders accessing books on their own! Totally cool! I love that, even in May, my students continue to delight me with the importance they put on their reading lives!! I look forward to listening in on all their wonderful conversations about their chosen books. The day that I start to clean and open up our screened porch is one of my favorite days of the year. This past Sunday was that day. It is important to note that I actually do the screened porch cleaning in 2 shifts: there is the initial cleaning, and later, the deep cleaning. The initial time is when I use my spray cleaner and paper towels, and wipe all of winter's dirt and spring's pollen off of the table and chairs. That was what I was doing on Sunday. I couldn't find my regular cleaner, so I settled for Windex. It was appalling (as it is every year) to see the filth that came off on my paper towels -- it was a mix of brown, gray, and greenish yellow (I'm fairly certain this last one was pollen). I pulled out the cushions for the chairs, wiped them down, and attached them to each chair. I conned one of my family members into helping me bring the wicker loveseat and cushions up from the basement and out onto the porch. I got a broom, and swept for what seemed like hours, but was realistically more like twenty minutes. Cobwebs, dead insects, dirt, dried plants from last year -- they all left the porch on Sunday. It's amazing how much junky stuff can accumulate on the porch since October! Then, I added the homey touches -- 2 new ferns, a lantern with a candle, colorful pillows for the wicker loveseat. When I was done, I lit the candle for a while to get the wonderful vanilla scent wafting around on the porch. I sat on the loveseat, snuggled up on the pillows, looking at our backyard, admiring all the lush plants this spring has produced. So, why is this such a big deal for me? Our screened porch is where I live in the summer, and knowing that time is coming soon is a lovely anticipation. I eat breakfast out there every morning after exercising, and leisurely read through the newspaper. I eat lunch out on the porch, where I savor a good book along with the good food. Every night, our family dinner is on the porch -- there is something about being outside, away from distractions, that allows us to linger, talking about important things and everyday, mundane things in such a relaxed setting. We catch up on the threads of each others' lives. When I have any kind of paperwork to do, rather for home, college course work, starting big thinking for the following school year, or now for this year, staying caught up with my blogging, the porch is where I do that. With the overhead fan stirring the warm summer air, I have also been known to take some wonderful naps on the porch! In the evenings, after our leisurely dinners, my husband loves to check in on his beloved baseball team, the Cleveland Indians. That relaxes him, but for me... not so much. So last year, I added a side table and lamp to the porch. That allowed me to utilize the porch up until the time to go to bed, and read, read, read!! I was so relaxed by bedtime. It's also a great place to entertain. The lively conversations we have out there with friends and family, again away from electronic distractions, have been delightful! In fact, next weekend, I am hosting my side of the family for Mother's Day. I know we will congregate on the porch, all wanting to be outside in comfort, and in each others' company. Our screened porch is my oasis for 3 months. It is the resting spot where I can rest, refresh, and revitalize myself. That is why the cleaning ritual is so important to me each year. It is the signal that I have some pressing business for the next five weeks or so, and then I can take care of myself and my family on my oasis, on my screened porch. For more "slices", head on over to Two Writing Teachers. I was intrigued by this book before I ever opened it to see what was inside. The neon orange cover grabbed my attention -- I just had to pick it off the shelf of my favorite bookstore, Cover to Cover, to see what goodies might be inside. I think my students will be equally attracted to the cover. Opening the book was equally enjoyable. 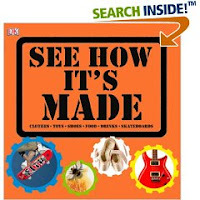 This is an entire book that explains how everyday things are made -- how cool is that for the inquiring mind! Some of the topics that are covered are sausages, plastic blocks, skateboards, cotton t-shirts, rope, and much, much more!! The layout for each topic is similar. The first two pages talk about the topic, sharing both historical details of the product as well as lesser-known, but quite interesting facts. Then, the next two pages have two cleverly done sequences of how the product is made. At the top of these two pages is a "At a Glance" sequence done with pictures and brief captions. Then the bottom two-thirds of these two pages are the sequence of the product being made in much more thorough detail. It starts with "Start Here", and then, using between 10 - 12 steps (depending on the product), uses a numbered picture sequence chart with more detailed explanations under each photograph. The visual appeal of this book is wonderful -- I absolutely love it! Some of the reasons it appeals: it's bright, it's colorful, it uses photographs that are quite appealing to the eye (and for the food products -- the stomach as well! ), it uses the bottom borders of the pages to share even more information about the given product, it uses a lot of speech and thought bubbles that help with the understanding of information, just to name a few. I will also be using this book as a model text for literary nonfiction in our writing. The organizational structures in this book are definitely worth having a conversation about, and seeing if they would work in my students' own nonfiction writing pieces. See How It's Made will be another important edition to my nonfiction collection. I was fascinated by how much I learned when I read this book. This is one my new favorite nonfiction books for kids. Head on over to Picture Book of the Day for more Nonfiction Monday reading. Allie Finkle's Rules for Girls is a Great New Series! 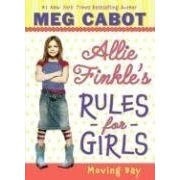 Allie Finkle's Rules for Girls: Moving Day is the second in my posts about fun books to put in the hands of children before the end of the year, or for summer reading. Meg Cabot, famous for her Princess Diaries series, has now found a voice for the younger girl. Allie Finkle is the main character in a new series Cabot is starting. Allie is nine years old and a fourth grader, and her parents have just informed her they're moving. Moving can be stressful, but Allie decides to take control, and make sure they never have to leave the house, the school, and the friends she loves so much. In fact, there are many ways Allie tries to impede the moving process. Sharing them might ruin the story, but let me say, she is quite relentless in her pursuit of not moving. Since Cabot is starting a new series, this first book does a wonderful job helping us become acquainted with the settings that will soon be familiar to readers as they read other books in the series. We learn about Allie’s old house (well, really a new, updated suburban house) and old school (ok, really a fairly new school, complete with air-conditioning). Then, after the move, we transition to Allie’s new house (well, a very old Victorian home in need of much repair and redecorating) and her new school (ok you guessed it – an old school, that doesn’t have air-conditioning). We are introduced to two of the family’s favorite places to eat – Lung Chung (where Allie does something that may allow her to never go back, but I just know Meg Cabot won’t allow that to happen) and Dairy Queen (conveniently located to the new house). Then, there are the characters. First of all, there is Allie’s family: Mom, Dad, Mark and Kevin (both younger brothers). Though we don’t meet him a lot in this book, Allie’s Uncle Jay is a character I hope appears more often in future books – he’s the “quirky” uncle. Then, there are Allie’s school friends (I use that word generically here). There is Mary Kate (her always crying best friend), Brittany (can turn on the charm with adults, but isn’t always nice to peers), Courtney (Brittany’s best friend), and Scott Stamphley (self-appointed annoyer of girls). At Allie’s new house, the girl next door is her exact age and grade – her name is Erica and she is a whiz at yelling, talking loud, having a great imagination, and gymnastics. I look forward to learning more about her in future books. Erica also has an older brother in middle school and an older sister in high school. John, the brother, plays a practical joke on Allie than becomes an integral part of her reluctance to move to the new house, much to her parents’ chagrin. “That’s why I need the rules. Friendship is so COMPLICATED.” These 2 sentences reflect Allie’s reasons for needing the rules for girls. But her rules aren’t just about friendship; they cover the spectrum from pets to family to skateboarding without a helmet to celebrities. The book is full of rules Allie needs to navigate her way through the pitfalls of being a 9 year old, fourth grade girl. In fact, each chapter title is one of Allie’s rules for girls. But don’t let the fact that there are only sixteen chapters delude you into thinking Allie has only 16 rules to live by… quite the contrary. Embedded within each chapter, the reader can find even more rules. Allie has rules for everything. And just in case you’re having a difficult time keeping track of all the rules, Meg Cabot cleverly includes ALL of Allie’s rules in a list on the last 3 pages of the book. This new series will be finding a home in my classroom this May. As series books tend to do, it will help support those readers who need to use their background knowledge to make sense of the text. Girls around this age can all relate to the personalities, the issues, and the basic question – where do I fit in? Then, as the series progresses, they will be supported by already knowing characters and settings – they can now focus on the story line. Allie Finkle is a unique girl, who can’t be pigeonholed into a category. Because of that, she reminds me of other favorite characters – Junie B. Jones, Clementine, and Moxie Maxwell. If you know a child that likes a character that marches to their own drummer, Meg Cabot’s new series, Allie Finkle’s Rules for Girls is a must read to put into their hands! **note: The second book in this series, New Girl, will be available September 2008. Charlie the guinea pig is the star of this very fun read aloud. He escapes his cage for an "adventure on the coast." When he arrives, he tries out for a movie part of a sad man trying to get his girl back and wins the part, hence the title, Charlie Hits it Big. Deborah Blumenthal creates a guinea pig with a huge personality that will appeal to all kids. His confidence is evident early on when he orders his tomato juice "On the rocks, baby!" from the flight attendant on the way to Los Angeles. Charlie is definitely the star of this book because of his funny words, but illustrator Denise Brunkus of Junie B. completes the character with her bright entertaining pictures. She captures Charlies personality from the Hollywood sunglasses to the dark and handsome fur dye job. This book has been great fun in the pit this week. Many of the kids are reminded of Alvin of the Chipmunks, and laugh from beginning to end. The second book has not been "PIT TESTED" as of yet, but will be appearing in a STORY PIT near you very soon! 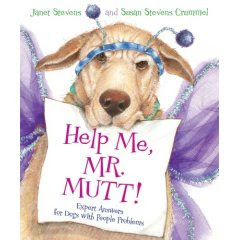 Help Me, Mr. Mutt by Janet Stevens and Susan Stevens Crummel is a great lesson in letter writing. Dogs seek the advice from Mr. Mutt regarding owners that ignore them, make them eat only dry dog food and other dog annoyances. Mr. Mutt always responds with advice that makes the owners look pretty silly and negligent. In each of his responses he makes fun of The Cat. Between each set of dog letters is a letter of response from The Queen aka The Cat, warning Mr. Mutt that she will get him for his comments. The end features a kidnapping and rescue that is very exciting and humorous. This book will not only make for a fun read aloud, it would work great for lessons on letter writing as well. Here's another review at Young Readers.